I start with describing that being a community healer means I am an African-centered psychologist, committed to helping Black people understand the impact of cultural and racial trauma on our lives. I’m referring to how the covert, less obvious forms of discrimination, racial micro-aggressions, insults and slights; as well as the more overt, in your face, racism affect us. It takes its toll on Black people – on our mental and physical health. In fact, on our entire wellbeing. It means that I am committed to helping Black people learn how to heal ourselves, our families, and our communities. This includes dismantling the lies told for centuries that perpetuate Black inhumanity – the lies of White superiority and Black inferiority. It means reminding us of the truth of who we are and helping us to learn to love ourselves in the midst of a world which is so unaccepting of us. The Emotional Emancipation Circles (EECs) offer a concrete way for people of African ancestry to unpack the lies and retell our stories in a new light. The EECs provide a place for understanding systemic historical racism and oppression and provide an outlet for expressing our individual, unique stories with other Black people. The EECs allow for empowerment through connections to our traditional, cultural roots as well as through our connections to one another. 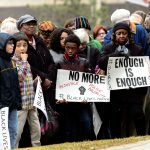 EECs are culturally relevant, they were created by Black people, for Black people – and are exactly what we need. How do I know so much about the EECs, about their healing potential? I’ve had the blessing to be a facilitator/participant in three EECs. Because in 2016 in my previous position, I was able to support the launching of EECs across the state of California – including Sacramento, San Diego, Los Angeles, and Oakland. 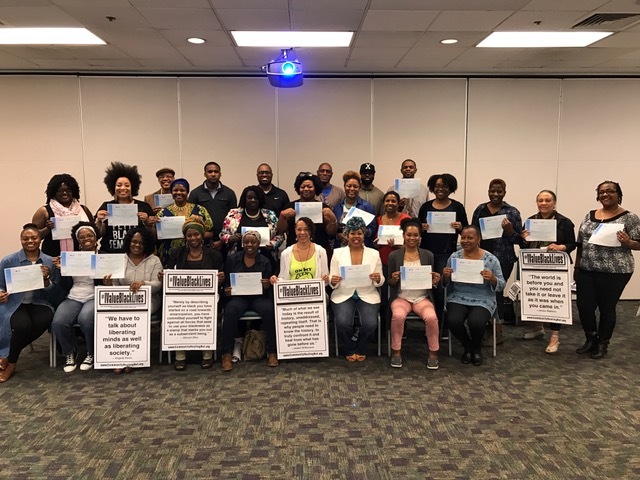 Because after the killing of Stephon Clark by the Sacramento Police in March 2018, I was able to help get 38 new EEC facilitator/participants trained and as a result 8 EECs have operated in the Greater Sacramento Area. I know about the power of the EECs because participants leave them saying they are grateful for the healing they received that they didn’t even know they needed. Because people note a feeling of connection, a deepening sense of community, and a realization that they are not alone. Because folks talk about feeling as though they’ve finally “come home” and they no longer having to deny any parts of themselves. In more technical terms EECs are a “community defined evidence practice”, in other words they are a healing circle that the Black community says works. In these trying times where our humanity as Black people is constantly called into question, our healing is critical. People of African ancestry are ready to heal from racial trauma. As we free ourselves individually, we liberate those around us, impacting the collective and empowering our world. The EECs provide the keys to true Black liberation, to our freedom…to our empowerment. As Bob Marley says, “None but ourselves can free our minds”. Dr. Kristee Haggins is one of the members of our Global EEC training team who is responsible for establishing the foundations for a statewide network of EECs in California.